* All figures are based on an average usage of 10 hours a day. * Please note that for dimmable LED's, a compatible dimmer switch is required. Consult an electrician for more information as LED's will not work on a normal dimmer switch. 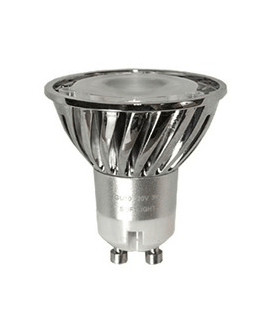 * Application: Is a direct replacement for the Halogen GU10 50W lamps. Can be installed in any GU10 Down-light fitting. Most commonly found in Kitchens, Dining Rooms, Hallways and Sitting Rooms.